Configure, manage and monitor XenServer infrastructure. XenCenter Windows Management Console is an integrated utility for XenServer infrastructure administration. 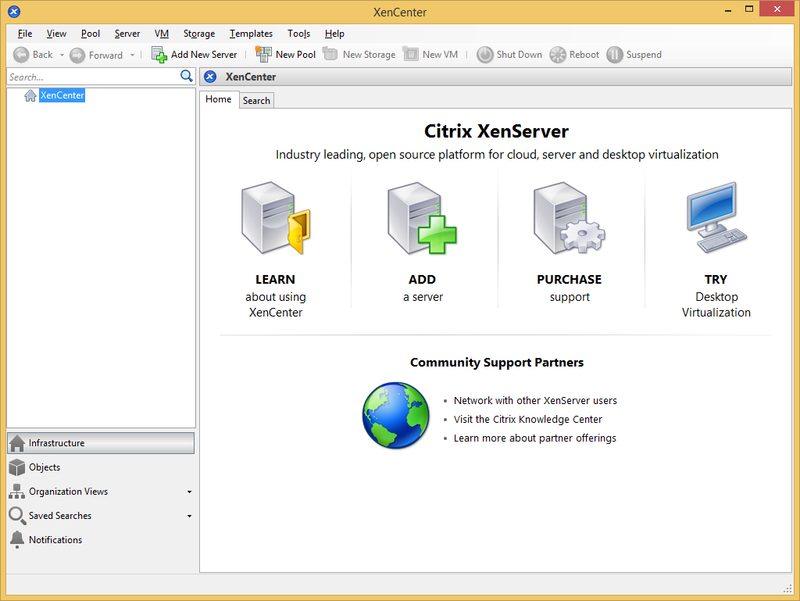 XenCenter provides options for creating and managing pools of servers. You can easily add and edit virtual machines, network shares and manage virtual networks. Capabilities built in XenCenter can be expanded by installing unofficial extensions created by community.